Taking care of the health and well-being of the public is not an easy task! Let us show you how much we appreciate all your hard work. 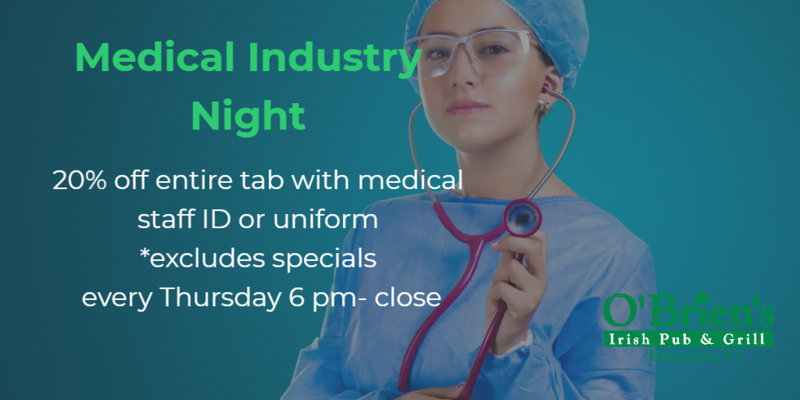 Stop in at O’Brien’s every Thursday night 6 pm-close and receive 20% off your entire tab (excluding specials) with proof of medical staff ID or uniform. next post: The LAW – LIVE!